DAVID LE/Staff photo. 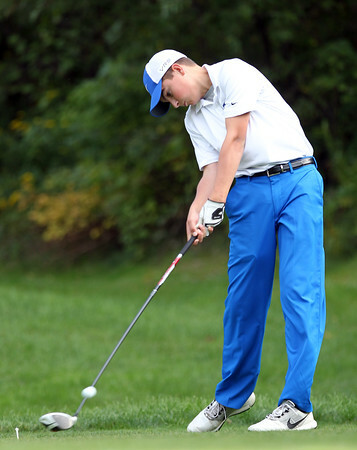 Danvers freshman Jared Mscisz rips a tee shot out of the box against Beverly in an NEC golf showdown on Tuesday afternoon. 9/22/15.